This small book is such a delight to read, it is at the same time a glimpse into ancient Spain [albeit 1934] and a door opening onto Spanish culture today. The cover illustration on my copy, by Pauline Ellison, is flooded with fresh spring green, just like the valley I look out on today on this chilly Spring day. It is the account of the author’s walk from Vigo on the Atlantic coast, south to Castillo in AndalucÍa. Written by a young man who knows just one Spanish phrase, he earns pesetas from playing his violin and so sees Spain on the verge of Civil War. The thing that stays with me after reading it is the hospitality from everyone he meets along the road, people who have little share that little with him. It is something we experience here every day. Our neighbours are all farmers, scratching a subsistence living from harvesting olives, wheat, sunflowers, raising pigs and horses and puppies, and labouring in the fields, they are generous with their smiles and their vegetables. It is not uncommon on a country road to see a small white van parked in the shade and one man with a mattock, hoeing in a large field of weeds. 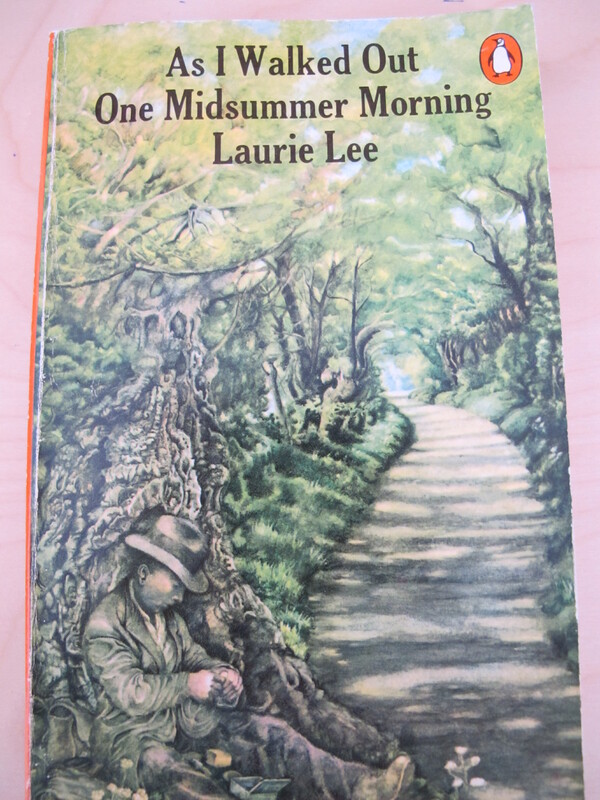 When Laurie Lee’s violin finally breaks in Málaga, dried out by too much sun, the people at the inn where he stays do everything they can to help, making glue in their saucepans. The makeshift solution, so Spanish in itself, does not work but he is given a violin for free and continues on his way, finally leaving Spain on the eve of war on a British warship. This entry was posted in Books about Spain and tagged Andalucia, book review, nature, Sandra Danby, Spain, Spanish Civil War on May 4, 2013 by sandradan1.